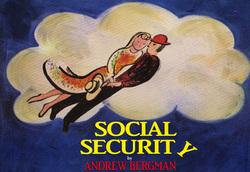 Social Security by Andrew Bergman is a comedy that focuses on trendy Manhattan gallery owners Barbara and David Kahn, whose life is upended when her housewife sister Trudy deposits their eccentric mother Sophie on the couple's doorstep, while she and her husband Martin head to Buffalo to rescue their sexually precocious college student daughter from a ménage a trios. Barbara and David introduce Sophie to suave artist Maurice Koenig, who offers to paint her portrait and soon begins to brighten her life in ways she never expected. All of our performances are held at the Janesville Performing Arts Center. The JPAC Box Office is located at 408 S. Main Street, Janesville WI 53545. The Box Office is also open one hour prior to all performances. Starting with performances in May 2012, the Janesville Performing Arts Center will be charging a $1 per ticket processing fee on all purchases on the phone and in-person at the JPAC Box Office. A $2 processing fee will be charged for all online purchases. For more information regarding this processing fee, please contact the JPAC Box Office at (608) 758-0297.